Chartrand, Luc. "CESAR". The Canadian Encyclopedia, 04 March 2015, Historica Canada. https://www.thecanadianencyclopedia.ca/en/article/cesar. Accessed 20 April 2019. The main objective of the multidisciplinary expedition was to carry out a geological survey of the ridge. Researchers, therefore, brought a veritable geotechnical arsenal to bear on the polar ice to gather seismic, gravimetric, bathymetric and other data. 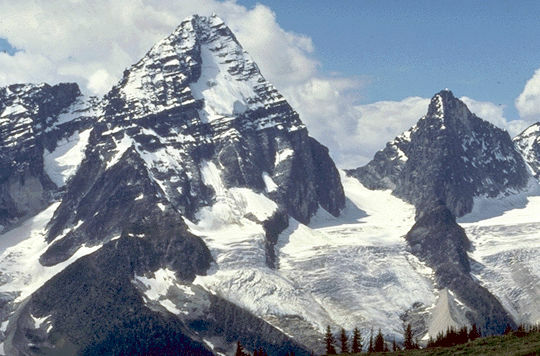 The 1983 Canadian Expedition to Study the Alpha Ridge was among the most important scientific expeditions ever mounted in Canada. Discovered in 1963, the Alpha Ridge is a submerged mountain chain traversing the Arctic from off ELLESMERE ISLAND to the Siberian Continental Shelf. The range rises 2.7 km above the seafloor, is 200-450 km wide, and is the most westerly of the 3 ranges dividing the Arctic Basin (the others being the Nansen-Gakkel and Lomonosov ridges). The expedition involved over 40 researchers working from March to May. The cost of the operation ($1.7 million) was defrayed by the federal government, and the expedition's activities were led by Dr Hans Weber of the Earth Physics Branch, Department of Energy, Mines and Resources (now the Department of NATURAL RESOURCES). Canadian Armed Forces aircraft transported the 300 000 kg of equipment, which included kitchen and mess structures, dormitory tents, prefabricated plywood buildings for use as offices and laboratories, scientific equipment, food, etc. The main objective of the multidisciplinary expedition was to carry out a geological survey of the ridge. Researchers, therefore, brought a veritable geotechnical arsenal to bear on the polar ice to gather seismic, gravimetric, bathymetric and other data. They also made observations regarding the origin of the ridge. 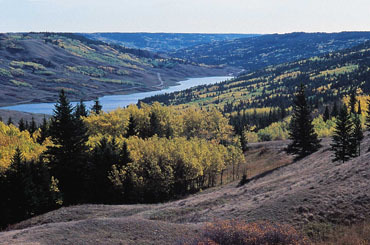 The question of origin is very important because the answer may determine whether or not Canada has RESOURCE RIGHTS in the region. It is important to determine if the ridge is a genuine oceanic ridge born in a volcanic upheaval, a prolongation of the North American Continental Shelf or a fragment, possibly from the Russian side of the shelf. Under the LAW OF THE SEA countries have exclusive rights to the resources of their continental shelves; however, Canada has not yet ratified the issue under UN regulations, which oversee the Law of the Sea, so Canada's rights to undersea resources have not yet been resolved. 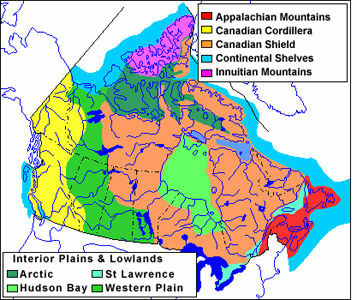 If it is found that the ridge is an extension of the continent from Ellesmere Island, Canada could lay claim to part of the ridge itself and to 322 km on either side. The issue is the more crucial because, in the Canadian Arctic, the continental shelves offer the best prospects for PETROLEUM EXPLORATION, as is witnessed by soundings in the Beaufort Sea. Mapping of the area is not yet complete and no major expeditions are planned. Much study, analysis of data and discussion among researchers will be needed to settle the question of origin definitively. Like its earlier counterpart LOREX (Lomonosov Ridge Experiment, 1979), CESAR ended when the seasonal ice on which the camp was built began to melt. In the fall of 1984 scientists built a more permanent station on an ice &QUOT;island,&QUOT; an ICEBERG that calved from the Ward Hunt ice shelf, off Ellesmere Island, in 1982. 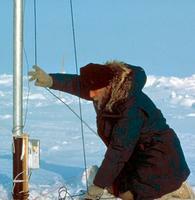 Since then the station has collected geological and geophysical data while drifting in Canadian waters. It was expected to drift into international waters by 1990. However, it did not ride the prevailing currents to the Beaufort Sea but was pushed down to the Arctic Islands. The &QUOT;Island&QUOT; broke up in the 1990s.